We’re often asked about forensic science education with regards to home education. The focus on STEM within education (Science, technology, english and maths for those not already in the loop) has been increasing over the last few years and with the interest in CSI thanks to the various programmes, educators are focussing on forensic science as one way to achieve their science goals. When it comes to home education, it’s very difficult to organise big science projects, which is where we often come in. Is it possible to provide some sort of forensic science project within the home without expensive equipment purchases or paying for a professional group to come in? The answer is yes. It’s not all that hard to include some forensic science within the home education. Mainly because everything you would study in forensic science is from bodies – which you have! And no, I’m not meaning dead ones! Living breathing children, can provide all the base materials for some forensic education, and after that, you have the option to either buy some analysis stuff or do it all DIY. Our Complete Crime Scene Kit is a great addition to any CSI workshops at home as it comes with information on how the police investigate a crime scene, as well as a fingerprint kit – which uses true type fingerprint ink so that you can analyze your fingerprints. But if you educate at home, you will be penny counting… so we’ve come up with a list of basics you could use to investigate fingerprints at home. This is easier to do than you might think at home. Most of the skill comes from knowing what surfaces will enable good fingerprint collection, and ensuring you create a good print. There are four ways to explore fingerprints at home. Use stickytape. Unroll a length of tape and simply ask the children to place their pads of their fingers on the roll of tape. You’ll get a good print pattern in the tape, and you can analyse this with a magnifying glass. Use bluetack or plastercine. As above, simply press your fingers into the medium and remove. You’ll get a good fingerprint to study. Use boot polish. dab your fingers into boot polish and then roll your prints across the paper in one direction, slowly and not too firmly, to create a fingerprint. This involves collecting prints. It’s harder to do, but will give them a CSI experience. Firstly – you need a sweaty/greasy fingers. 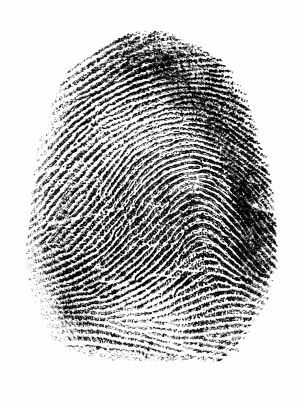 Fingerprints are left by sweat/skin grease. Cold hands, or people who don’t sweat a lot don’t leave good prints. The easiest way to get a good fingerprint is to rub your fingers somewhere on your body where you sweat a lot e.g. under your arms. ; or where you have natural grease, e.g. on your scalp. It sounds a bit gross, but you’ll get a better natural print if your hands are covered in natural sweat / grease. Secondly – you need a clean smooth surface. Plastic or glass generally works best. But look at the surface you plan to use. Don’t use a porus surface e.g. paper. 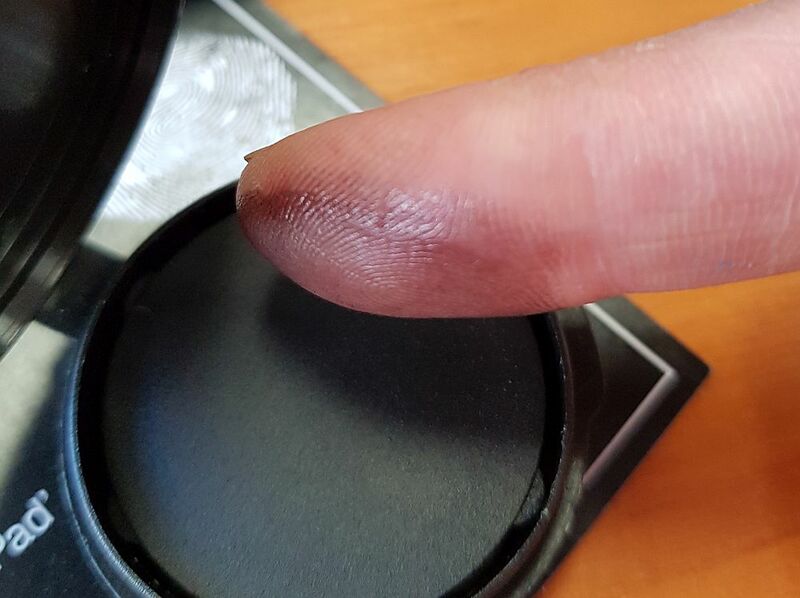 While proper fingerprint dust will be able to get a good print from a variety of medium, this home-grown fingerprint dust won’t, so you need to stack the deck in your favour and get a really nice clean, smooth surface. Thirdly – you need equipment to collect your print. 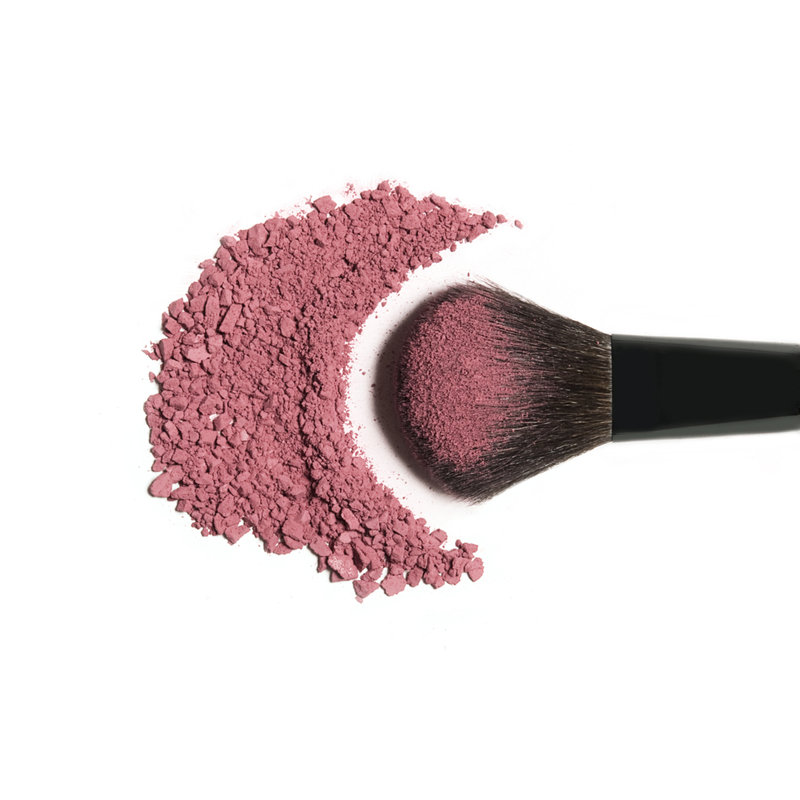 We suggest blusher and a good quality blusher brush. If you want to then lift the print – you need sticky tape too. 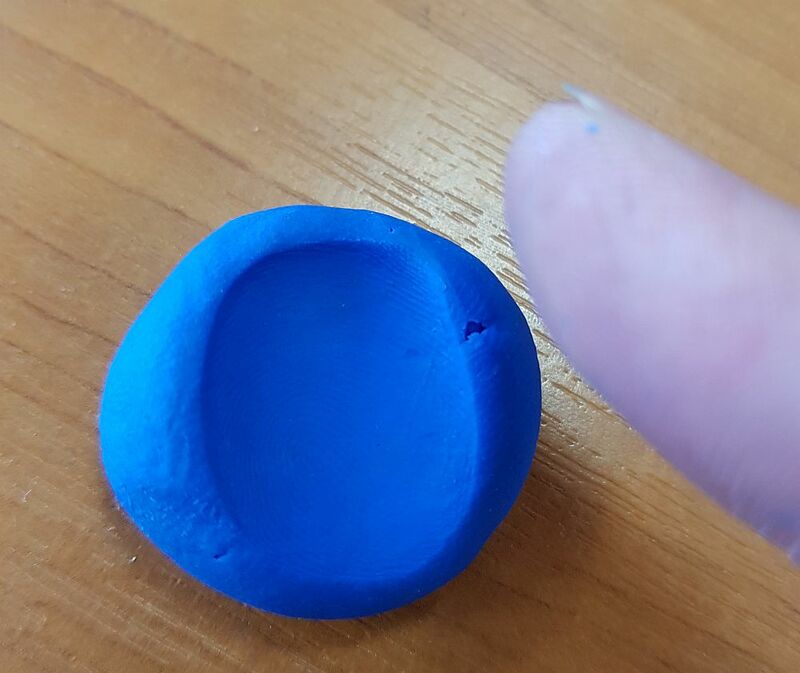 Make your print – press your greasy finger firmly onto the chosen surface and release. Don’t “screw it into the surface” a firm dab is all that’s needed. 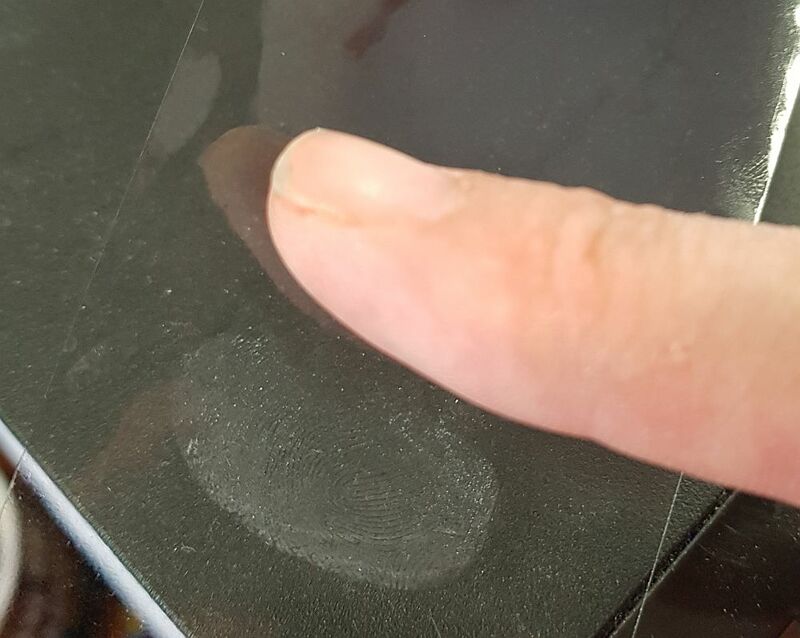 If you move the surface into the right light, you should be able to see the fingerprint on the surface as the grease will reflect. Now load your blusher brush with blusher and tap or flick it over the surface where you know your print is until you have a good even coating. Blow the excess gently away, and if need be, using the brush really lightly, brush the excess off the surface. (Whether you need to blow, or brush will depend on the surface, some surfaces have a static cling so you’ll need to brush lightly to remove the excess). If you’ve done this right, you should be left with a fingerprint. To lift this print, simply use the sticky side of the sticky tape. Roll it over the print and the print will lift to allow analysis. if the print is hard to see, stick the tape to a black card. 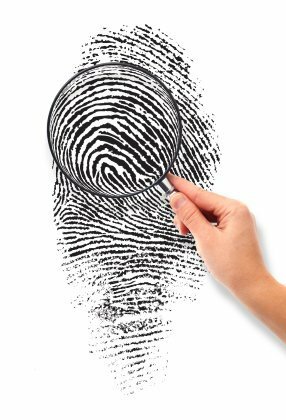 There are several different aspects to fingerprint analysis and features you can look for within prints to help you identify who left what. These features are covered quickly in the booklet which comes with our fingerprint kit. But in short, using the techniques above, children should be able to identify three key patterns within prints obtained. 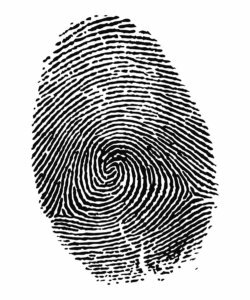 1) A Whorl – which is where the fingerprint ridges circle a dot or line. 3) An Arch – which is best described as a “bridge” in appearance. The ridges coming in from one side of the print and leaving on the other side, but with an arch, like a bridge, in between.